The folk/rock singer has released his 10 track album ‘Off To Save The World’ that was released on the 12th October. The release of his third album dubbed ‘Off To Save The World’ which also marks a decision to do it on his own. Kristian has taken control and started his own label Soundchest Records where he’ll release the new album digitally, on vinyl and on CD. The first single from the new album, ‘If I Should Go’, has reached more than 1.45 mio. 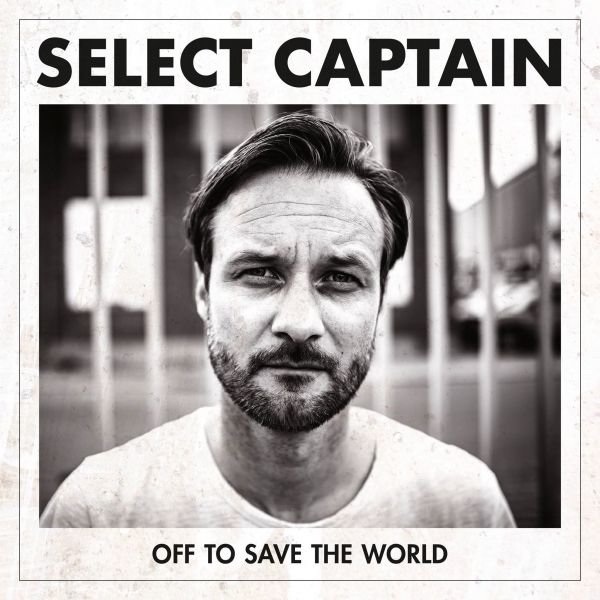 Streams on Spotify, and 14 of The Captains songs has been on national Danish radio over the past few years, even a few from the new album have already found their way to an early radio-debut. More than 150 concerts over the past 4 years, solo, as a duo, and with his full band has given Select Captain experiences which has also been put to great use creatively this time around. With every release Select Captain continues to grow. This is a standout release from the singer songwriter. The record has both a subtle and intimate sound and at times a larger landscape sound like in ‘Highest Peaks’. ‘Off To Save The World’ is a well-crafted and mature sounding record that evokes emotions of uncertainty and will keep you listening from the very first note until the last with this rock/folk cross over.